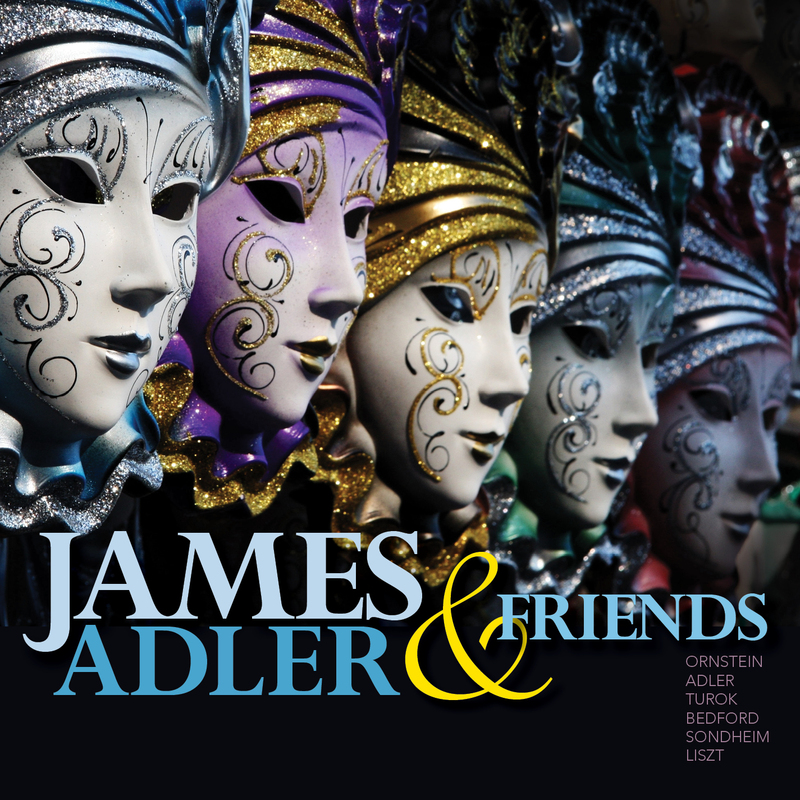 Ravello Records releases James Adler & Friends, a compilation of work by James Adler, Seth Bedford, Franz Liszt, Leo Ornstein, and Paul Turok. Tracing Mr. Adler’s music roots, the CD includes two pieces specifically composed for him: Seth Bedford’s Christopher Street Rag and Paul Turkok’s Tango for James Adler. Two collaborative works are included: Reverie, Interrupted for Tenor Saxophone and Piano (with Jordan P. Smith, Tenor Saxophone) and A Song of the Road (with Malcolm J. Merriweather, Baritone). Also highlighting the disc are two new works for solo piano: Fantasy on a Medieval Theme and Piano Fantasy on “The Ballad of Sweeney Todd”, both of which are influenced by Liszt’s Mephisto Waltz No. 1, which is also included.